Three decades after introducing T La Rock and Jazzy Jay, Def Jam’s legacy remains unmatched in hip-hop, its continued relevance due in no small part to getting behind young talent. 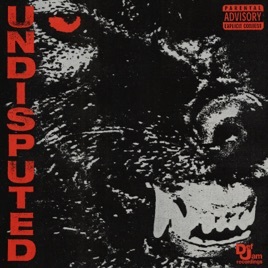 Developed over the course of an intensive weeklong “rap camp” in Los Angeles, Undisputed showcases the label’s bumper crop of newcomers from American locales as wide-ranging as Harlem, Houston, the Twin Cities, and the Bay Area. With the exception of features by more established acts Rich The Kid and YG, the mic goes to the formidable likes of GS9 torchbearer Fetty Luciano, vibey Travis Scott cosign Ashton Travis, and Midwest standout Nimic Revenue—all of whom deliver single-quality performances. This Compilation ℗ 2019 Def Jam Recordings, a division of UMG Recordings, Inc.
Not good. Just no. Please leave.